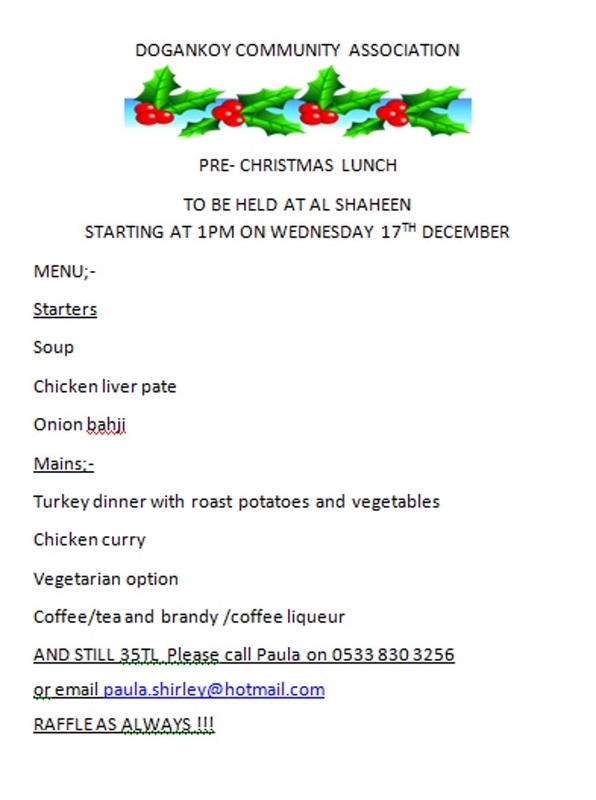 The Doğanköy Community Association have arranged a pre- Christmas lunch at Al Shaheen Restaurant in Karakum which is to be held on Wednesday 17th December at 1pm and will include a traditional Turkey Dinner or a choice from the other options available, and also a choice of starters as well. The price per person is 35TL. Have a look at the menu below. There will be a raffle with some lovely prizes and this will be a good opportunity to meet friends old and new. This event should be a nice lead up to the Christmas festivities. 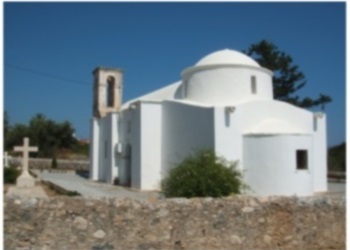 This entry was posted in Special Events and tagged Al Shaheen Restaurant Karakum, Charties and Associations, Dogankoy Community Association, Entertainment, North Cyprus, TRNC by kyreniacatkin. Bookmark the permalink.